Originally from Toronto, Craig began his musical training with eight years of classical trumpet. 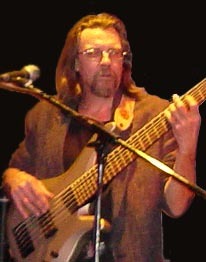 He moved to organ in 1965, playing in rock bands, then began playing bass in 1968 (and never looked back!). Throughout Craig's long and rich music career, in addition to several successful working bands (below), he is also sought after as a superb session musician. To Contact Craig Harrison: Send an eMail!